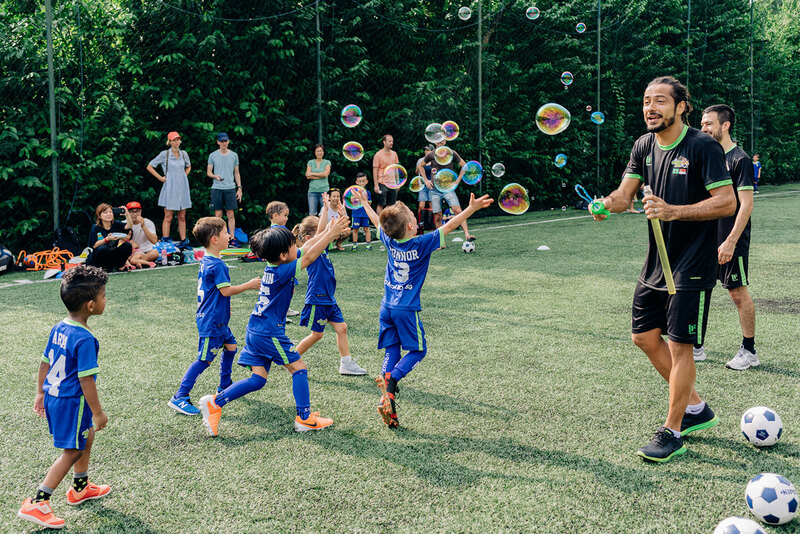 Coach Leo Playgroup - Where the fun begins! If your child is between 2 and 5 our playgroup classes are perfect for you. 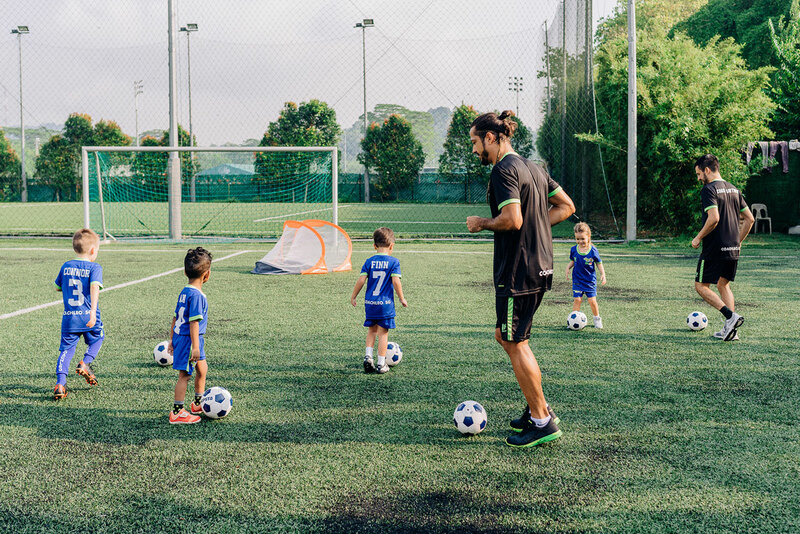 We give them their first exposure to football as they develop motor skills and co-ordination. The classes are very hands on and your boy or girls will love the fun. We start with a freestyle warm up and funny games before moving on to the basics of ball manipulation, balance and coordination training. We finish the class with team based games to encourage your child to socialise through a variety of colour and number based games before finishing the class with stickers, stamps and every childs favourite - bubbles! Remember, your first class is on us so contact us for a free trial. You can view our class schedule here. 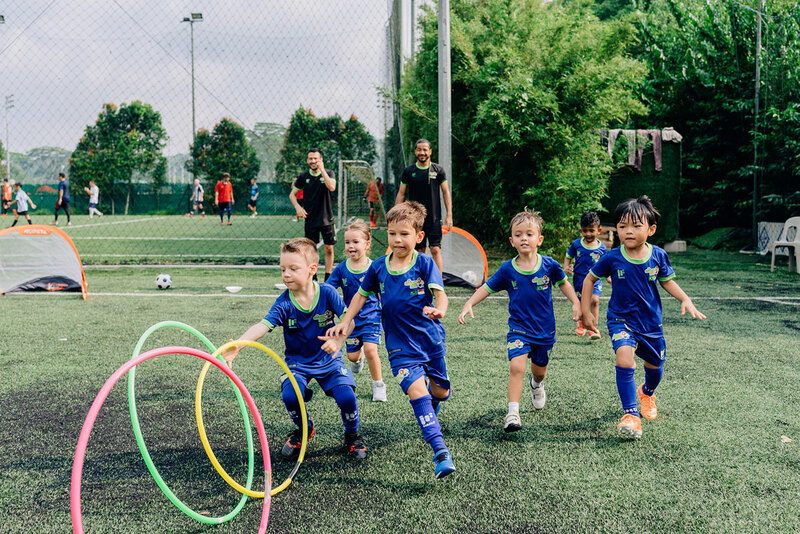 Our playgroup classes are made up of a large mix of Singaporean and expatriate children, making them a great place for your child to interact and make wonderful new friendships. Our games and exercises teach students how to control and move their body. This helps lay the foundations for skills that they later apply to older age groups. We try our best to ensure that your child has a great time at any one of our playgroup or holiday camps. 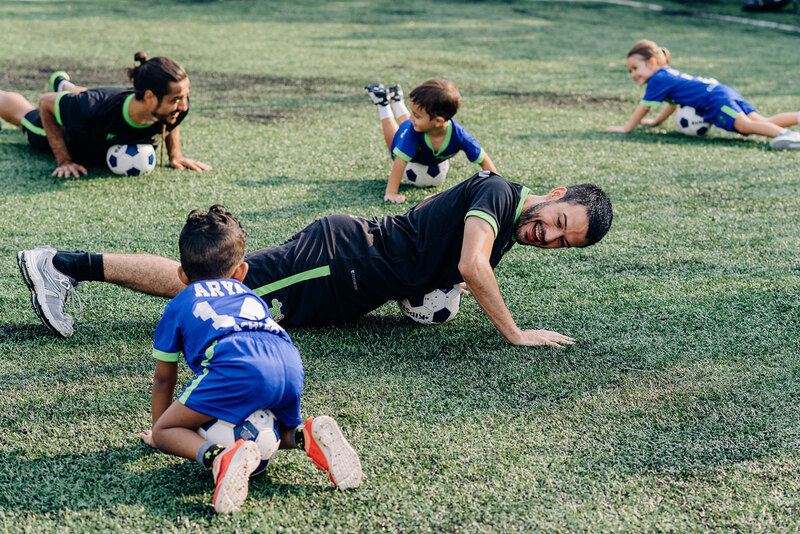 We blend fun games with technical training to give them an unforgettable experience.